Today is a historic day for Malaysia when Tuanku Abdul Halim Mu'azam Shah, the Sultan of Kedah, took oath as the 14th Yang DiPertuan Agong of Malaysia. Historic in the sense that Tuanku Abdul Halim was also the 5th Yang Dipertuan Agong from 1970 to 1975. Additionally, he will reside at the new Istana Negara or the National Palace which in Kuala Lumpur. Malaysia observes a constitutional monarchy system where the Yang DiPertuan Agong or King is elected among the Sultans of the nine states in Malaysia. The King is the Supreme Head of State and serves for a period of five years. 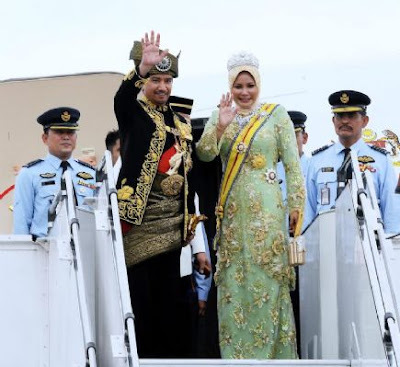 Tuanku Abdul Halim replaces Tuanku Mizan Zainal ABidin, the Sultan of Terengganu, who completed his term on 12 December, 2011.